Show your love for Marvel's The Avengers by wearing this Avengers Double Dog Tag Necklace wherever you go. Beautifully crafted of stainless steel, this necklace is perfect for any Marvel Comics or The Avengers fan! 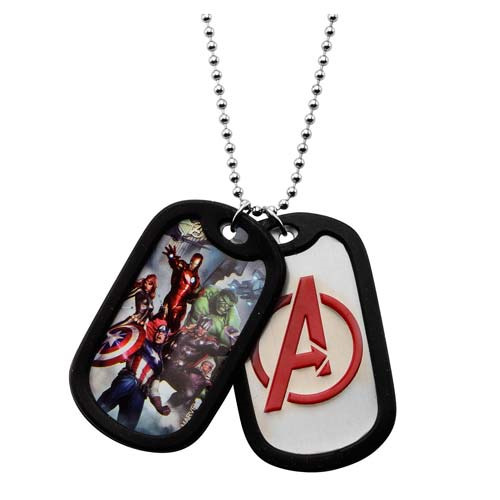 The dog tag features a color image of The Avengers. The dog tag comes with a 22-inch ball chain necklace. For ages 12 years of age and up.